This page gives you information about forthcoming workshops and seminars; articles and press releases; feedback and testimonials; case histories; and related issues of topical interest. 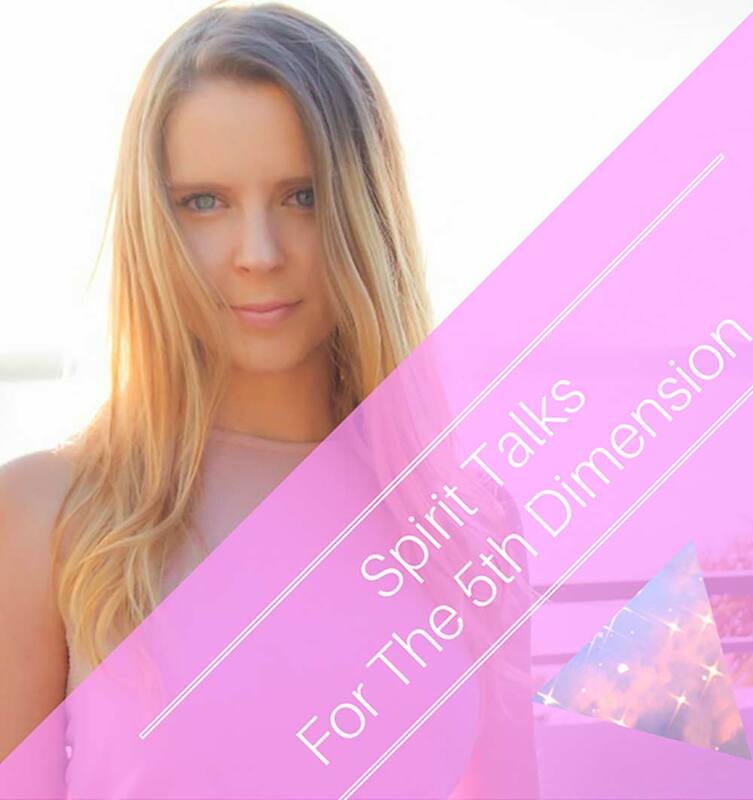 Listen to an episode where Elizabeth helps us understand the history and science behind dowsing including the sometimes surprising involvement of the Catholic Church, whether pendulums are as effective as rods, and the importance of finding your niche as a dowser. She also explains what a session with her entails. ‘Dowsing is a technique / tool utilised to tap into and amplify our connection to infinite intelligence. 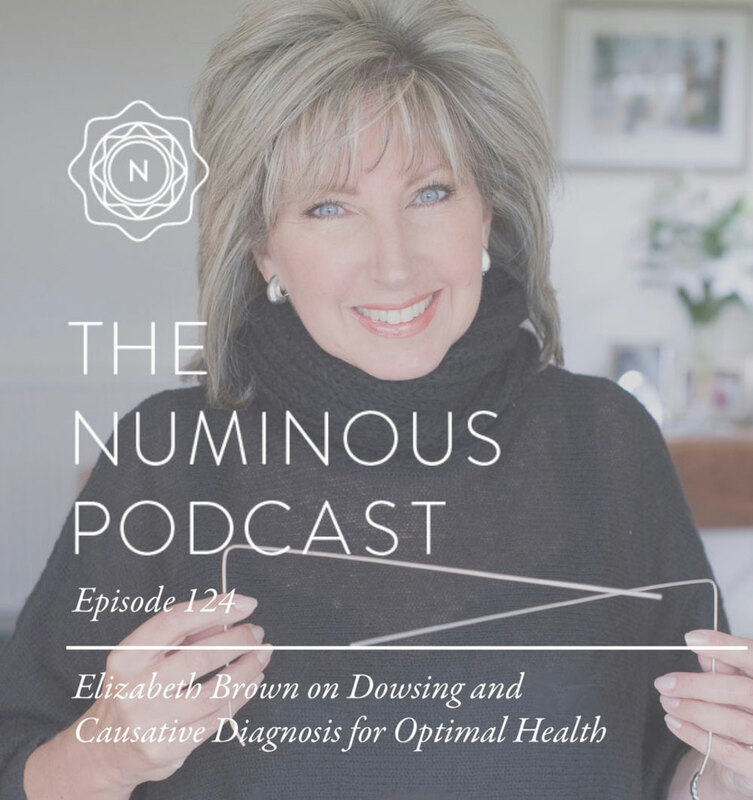 Elizabeth Brown is the Hay House author of ‘Dowsing — The Ultimate Guide for the 21st Century’ and professionally utilises dowsing to help people discover the specific causes of their illnesses and how they can best heal. I LOVED learning about this amazing technique and the profound discoveries that Elizabeth has made within her practice’. 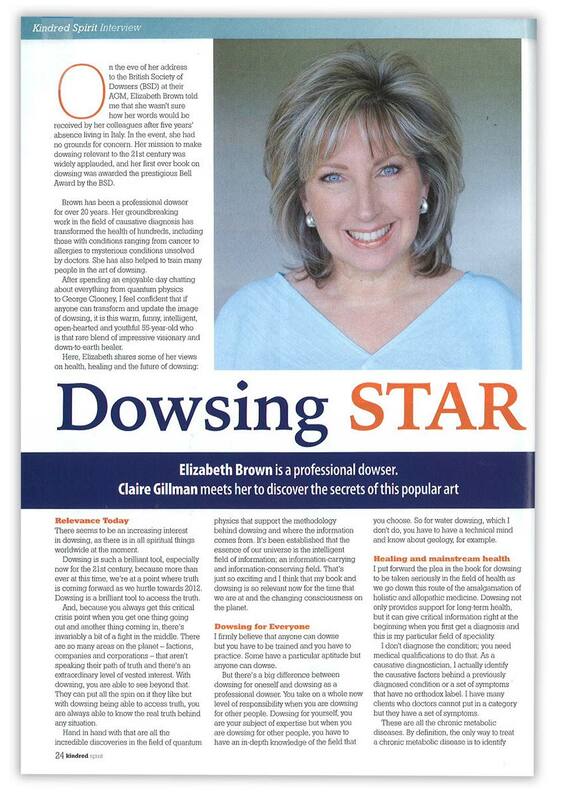 Elizabeth was interviewed in-depth about dowsing and her views on life by top journalist, Claire Gillman, for Kindred Spirit magazine.